Aristokraft has the style, selection and value you need to bring your vision to life. With our speedy delivery and our industry-leading service, we'll keep your project on-time and make planning your dream home simple and enjoyable. Whether you're updating an existing room or creating a brand new space, we'll deliver quality cabinetry products that will stand the test of time. 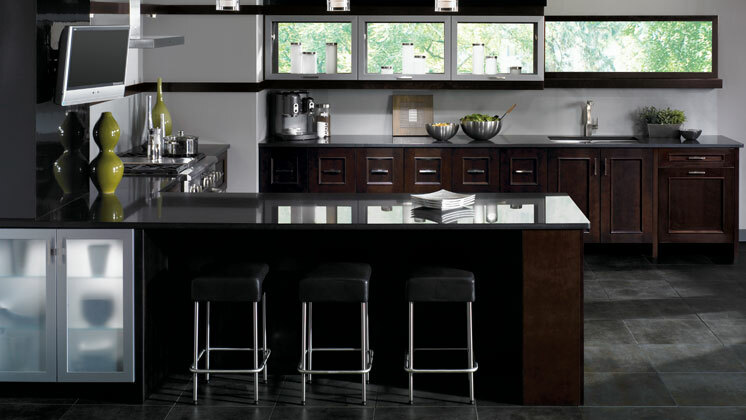 Adding an island can maximize kitchen flow while adding counter and storage space. At Aristokraft, we design our cabinets with flexibility in mind so you can find the perfect kitchen cabinetry solution that works for your unique space. At Aristokraft, we understand a kitchen is not just a place to prepare meals, it's the heart of your home. We know you need a space that's hardworking and a beautiful expression of your style. We make it easy to design a space to fit within your budget. Expressing your personal style is easy with Aristokraft's streamlined cabinet moulding and embellishment offering. Because we know it's often the little details that make a big impact. Designed to be accessible, priced to be attainable, and constructed to be sustainable, Homecrest® kitchen and bathroom cabinetry makes your ideas a reality by transforming your space into a happier, more organized home. Homecrest's new wine storage cabinet, with its X-shaped configuration, is all the rage for simplistic storage, and can be used in a variety of designs for any room of the home. Great for storing wine in the kitchen or great room and towels in the bathroom. Find more creative uses for this storage cabinet in your home office or child's bedroom! No more cluttered countertops! As a modern option to a tambour door, Homecrest’s new Hinged Appliance Garage provides a fresh alternative to store small kitchen appliances conveniently within reach. Great for storing hair dryers, curling irons and other items in the bathroom. Get extra cabinet storage in any room of your home with Homecrest's new furniture drawers. Tuck these handy cabinets under a window to create banquettes, window benches, or create a functional entry way ensemble. The possibilities—as well as the storage they provide—are endless! Inspired Colors. Innovative Organization. Incredible Strength. Achieving the perfect balance of beauty, brawn and wit. That's how we're always thinking – and rethinking – about the world of kitchen and bathroom cabinetry. Diamond® provides stunning, ergonomic cabinets that put innovation to work and bring order to your whole home. Color is a power tool waiting to be plugged into your imagination. So with a healthy helping of designer-inspired cabinet finishes added to your palette of possibilities, Diamond® offers even more ways to cut through the visual clutter, transform bland into beautiful, and shape a lasting impression. Life beyond the front door isn't getting any easier. Which makes the concept of a well-organized life inside the home more attractive than ever. Meticulously crafted, exhaustively tested and assuredly perfected – Logix® organization innovations are the stylish answer to storage adversity. Go ahead, load it up with life's stuff. Front to back, top to bottom, standard to upgrade options – each box, drawer and piece of hardware is built rock solid to deliver superior durability and lasting piece of mind. Beautiful on the Outside. Smart on the Inside. Kitchen and bathroom cabinetry that is classically beautiful on the outside and surprisingly smart on the inside. Behind the handsome, durable exterior of every Schrock™ cabinet, there is a world of thoughtful solutions designed to make life easier. With timeless appeal and an endless array of options – including our Architectural Accents™ collection of corbels, legs and mouldings – Schrock™ is just the right cabinet brand to create a kitchen that reflects your favorite state of mind. Equipped inside with maximum function and versatility, Schrock™ cabinets are thoughtfully designed to improve home organization and make busy lives easier. From wall pantry pullouts to tiered drawer organizers to recycling centers, with Smart Solutions™ it's simple to create a space that fits your specific needs. The selection of only the finest woods is just one of the ways Schrock™ exceeds expectations of lasting cabinet durability. 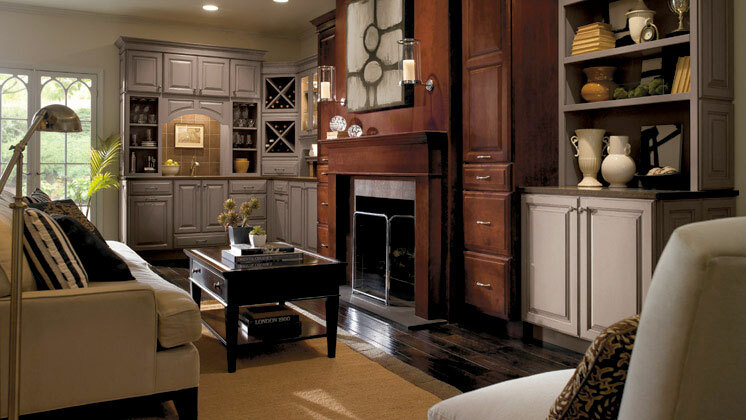 Our legacy has proven time and again that outstanding quality, dependable delivery and superior service help expertly crafted cabinetry stand the test of time. Selecting bathroom and kitchen cabinets begins with understanding your needs. 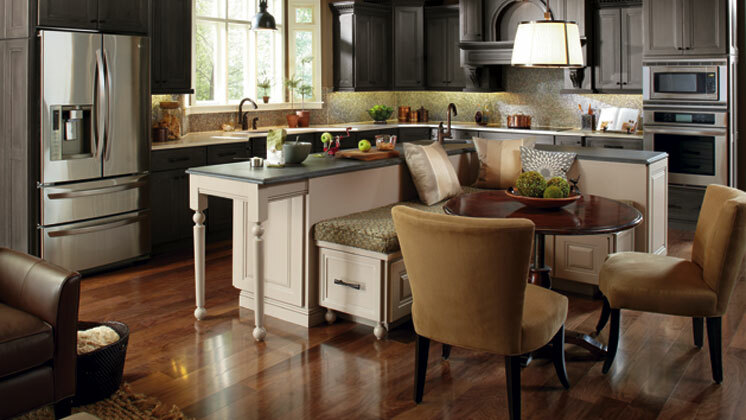 Explore our endless possibilities to start envisioning a kitchen design that fits your life. Since 1926, Kemper® has been creating rooms that are as beautiful as they are functional. Our precision engineered kitchen and bathroom cabinetry gives you years of performance and pleasure, and is backed by our lifetime warranty. Made for you and built to last. It's the details that increase function and inspire creativity within your home. Kitchen, bath, living spaces – whatever your project, Kemper® offers an assortment of distinctive cabinetry enhancements that make your room stylish and smart. At Kemper®, we don't stop at the design of the cabinet doors or the choice of materials to deliver just-what-you-wanted results. Look to Kemper's hidden genius of cabinetry organization to create the right storage solution for your home. As the oldest cabinet manufacturer in the U.S., Kemper® has perfected the craft of cabinet making. We take that experience and blend it with the benefits of modern engineering. The result: an industry-leading cabinet packed with features like SmartStop™ closing action on all doors, drawers and sliding shelves. 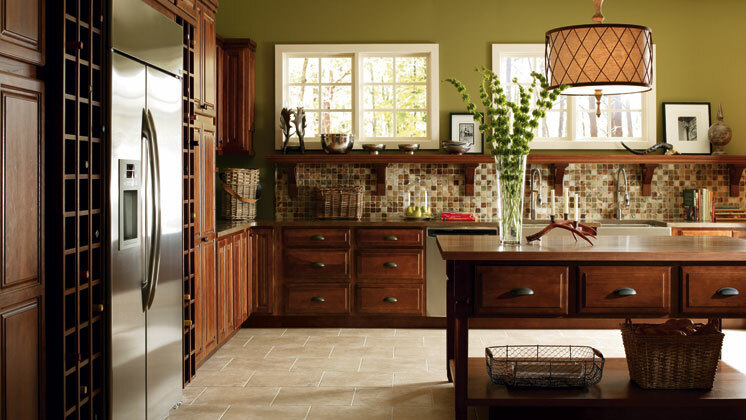 A recognized leader in kitchen and bathroom cabinetry, Kitchen Craft offers stylish collections that provide thousands of choices to meet any taste preference. Our European-inspired cabinet designs offer classic appeal with an international flair, and feature full access construction to meet a range of storage needs. Traveling throughout Europe, our cabinet designers have taken the best of what the old world has to offer… both traditional and modern. The result, a unique collection of styles that can help create any desired look. Featuring a full-access cabinet design, Kitchen Craft cabinetry uses a unique, frameless construction style to create more space and greater accessibility in every cabinet. Consider the wealth of ideas to bring extra flair to the design of a kitchen, bath or other room. It’s an opportunity to display personal taste and style. 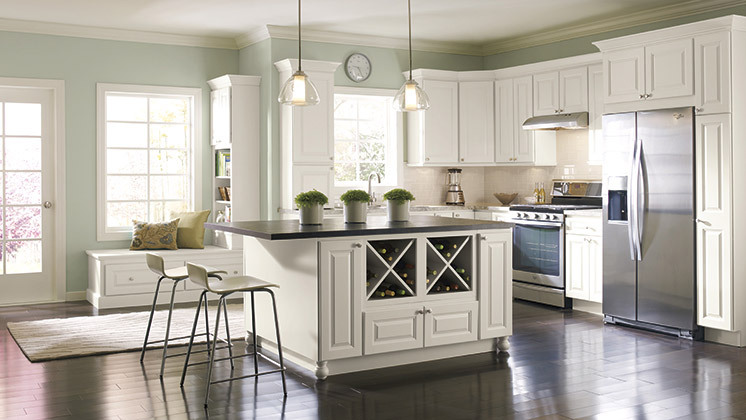 Kitchen Craft’s cabinetry embellishments can unify different areas or complete the look in any room. Design can come to life in any number of ways. Decora places highly evolved elements of design into your hands allowing you to create your space reflecting your style. 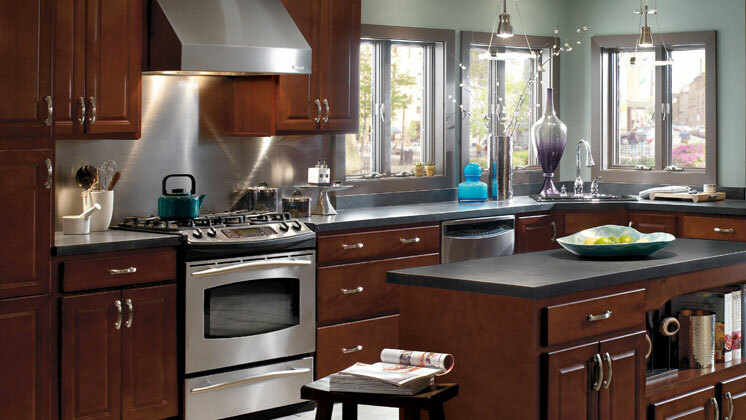 More cabinet door styles adapted to your lifestyle, including inset door styles. More on-trend color and finish combinations, including custom colors. Welcome to Decora. 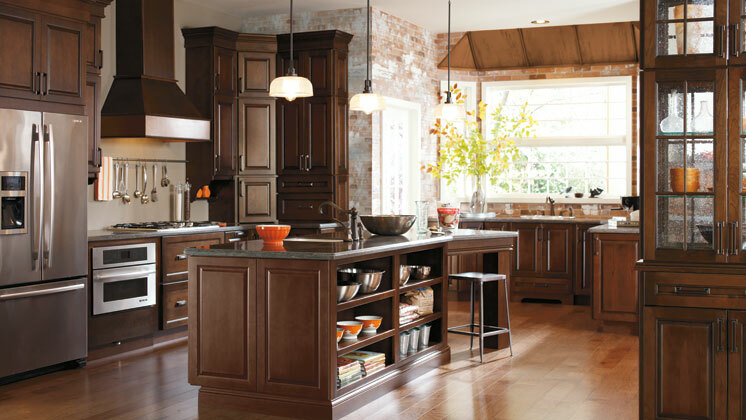 More of the quality choices you need to bring your cabinetry ideas to life. For less than you could ever have imagined. Need more storage? Are books and knickknacks taking over your rooms? Decora offers an array of cabinets that can help you maximize or even create space with the look and feel of built-ins. Creating an office? Organizing your family room? Streamlining your mud room entry? Decorá cabinets are the solution. Customizable cabinetry details bring personality to your room design. Decora’s extensive collection of cabinet moulding treatments, beadboard, and finished end options allows you to create that perfect look to complement your style. Decora offers a broad selection of cabinet accessories to complete your room design. From shelving to file drawers, these pieces provide the finishing touches to ensure your home works hard, just for you. There are infinite possibilities when you choose Omega. Essentially, if you can dream it, Omega can build custom kitchen and bathroom cabinetry with the personal touch of a handcrafted experience. Offering seamless solutions with lasting beauty, you can have complete trust in Omega. You're making a life choice, not just a cabinet purchase. Milled and assembled completely on site, Omega cabinets feature the highest quality wood construction for trouble-free durability that lasts. From the cabinet face to the drawer box, each of our cabinets is designed to fit your lifestyle and to ensure that the elegance you enjoy today endures. Textures, curves and sculpted details provide the finishing touch to any look. Whether adding columns for a hint of elegance or a bun-foot for some rustic charm, Omega can help you liven up and personalize your space with simple or ornate, well-placed cabinet design treatments. Sanding and staining each piece by hand, all Omega cabinets offer a fine-furniture look that highlights the natural beauty and tone of the wood. Whether you bring the old world to life with antiquing, or make modern feel warm with a vintage distress, hand applied finishing techniques enhance the beauty of your cabinets... and your style.